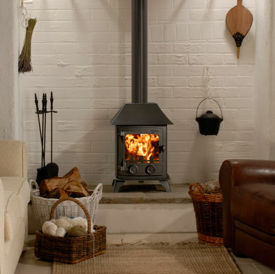 The Yeoman Exmoor stove is a narow depth 4.9kw stove available in wood or multi fuel version. 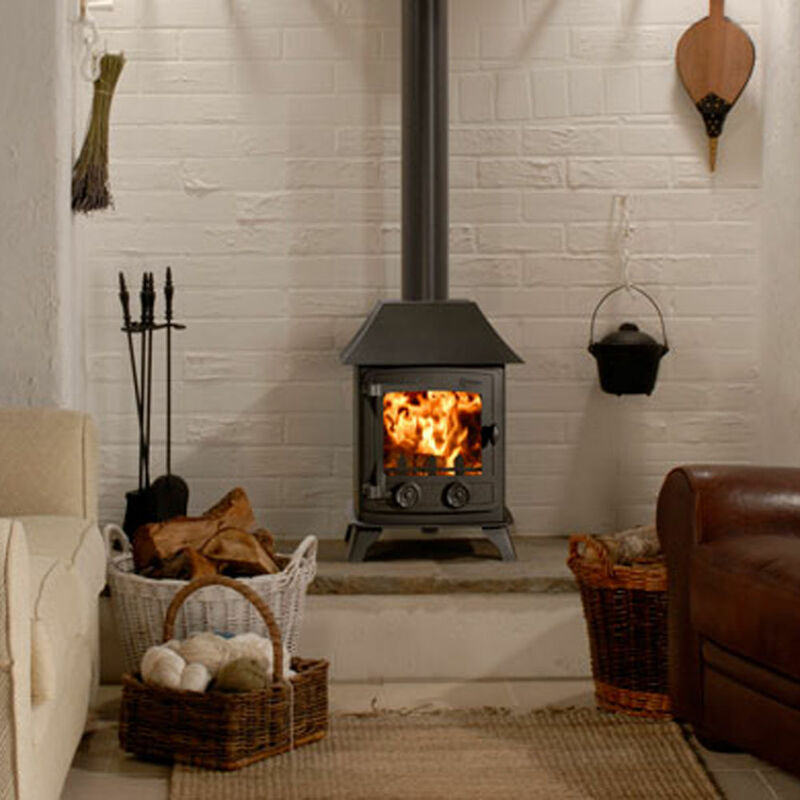 The Yeoman Exmoor stove is available with a flat top or a low canopy. This is a traditional looking stove with 1 door & 1 plain glas panel in this door. The glass is curved on the top edge. Stove expert replied: Stove working well and providing good heat. Stove expert replied: Have you tried smokeless fuel for the over night burn period?